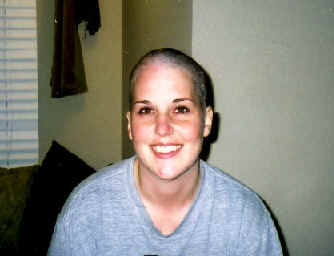 These pictures were taken on October 20, 2005 after my first diagnosis of breast cancer. 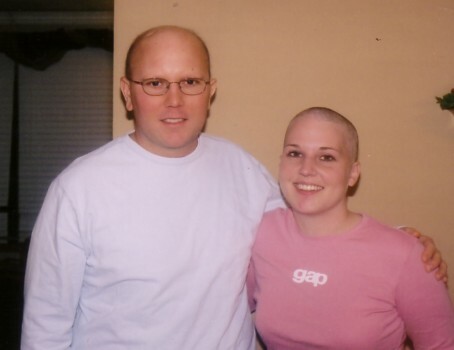 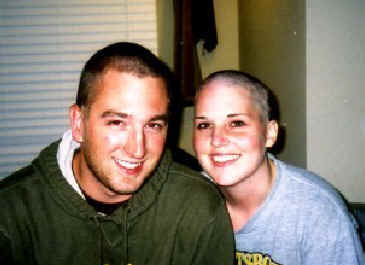 This was the day I decided to have Mike shave my head, and Mike let me shave his head too! 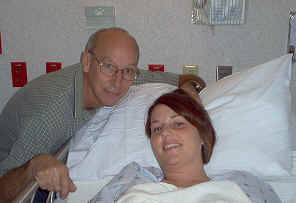 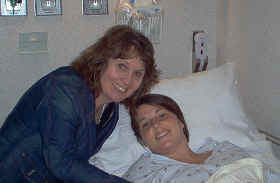 These pictures were taken on September 21, 2007 before my second biopsy surgery. 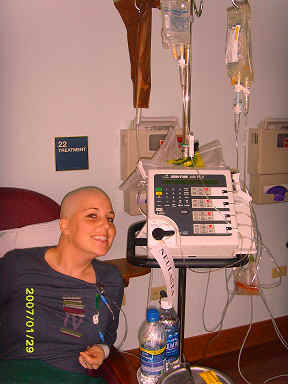 These pictures were taken on October 25, 2007 after my second diagnosis. 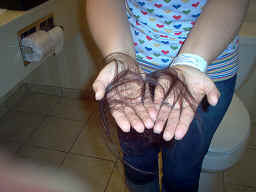 These pictures were taken in December of 2007 after my second diagnosis. 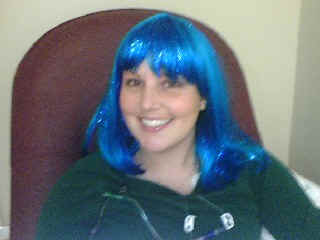 They are of my port, one is of my treatments at the Cancer Treatment Center of America in Illinois, and one is me wearing my fun blue wig given to me by another patient.